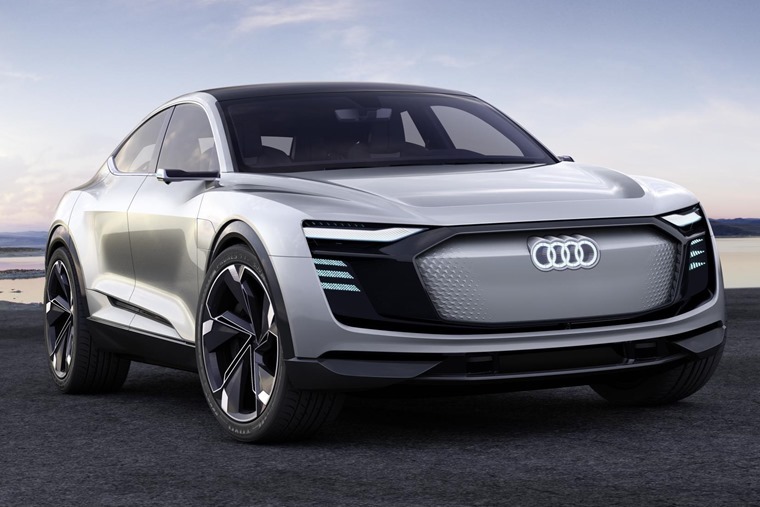 Audi has revealed an all-new electric concept car at the Shanghai Motor Show, with a production variant of the e-tron expected to enter production in 2019. Taking the shape of a coupe-like SUV, the e-tron Sportback will use Volkswagen Group’s MLB platform, that we’ve already seen in the current Q7. As such, you’d expect it to be a similar size. 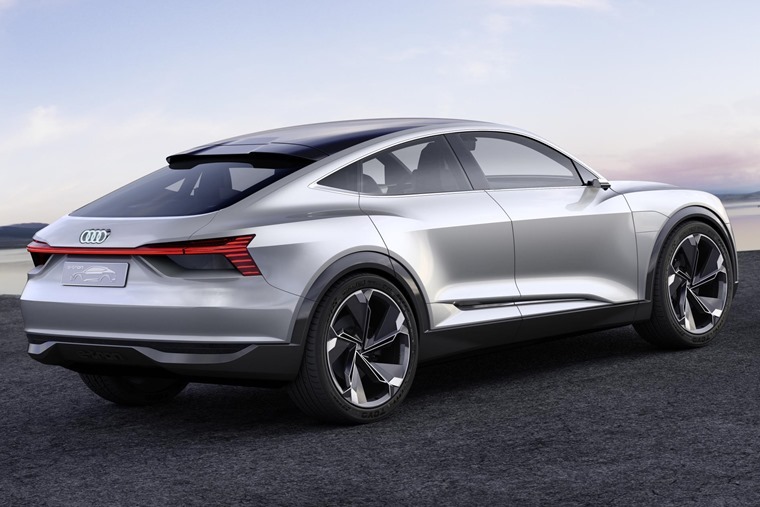 However, although Audi claims it is a “SUV Coupe”, it’ll actually be more A7-like in the flesh, although its height it likely to be more akin to the company’s current SUV range. 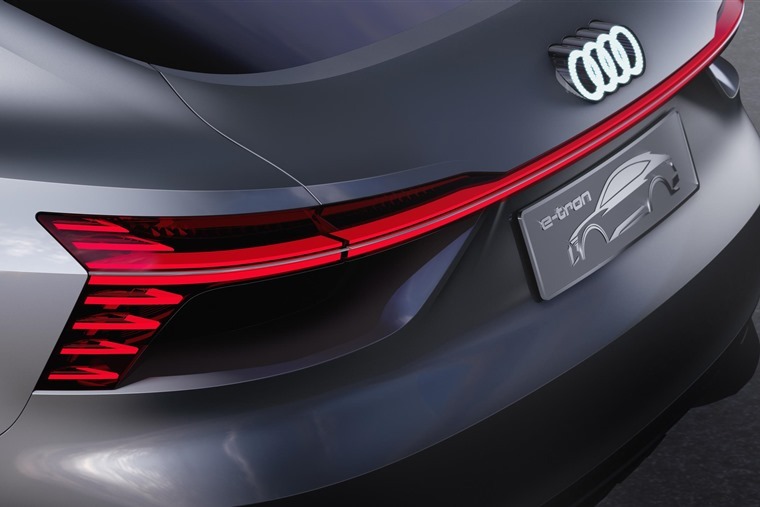 Style-wise, the e-tron borrows many of its looks from the Q4 and Q8 concepts we’ve already seen, although there are some touches that are more unique, such as the wraparound rear lights, as well of the noticeable absence of any grille up front, thanks to the nature of electric power. In what is a first for Audi, the interior makes use of ‘electro lighting’. This is an extremely thin material that illuminates the cabin, and is designed to make the cabin as light and airy as possible. 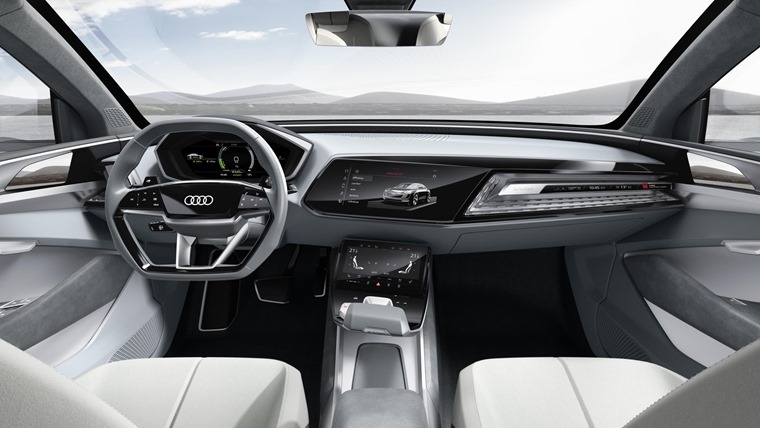 Two large screens make up the instrument panel, with the e-tron getting minimal buttons on the dash. We’ll have to wait and see if this is carried over to the production version. As for power, it is provided courtesy of three electric motors – two that power each rear wheel, and one for the front axle. Connected to some 95kW lithium-ion batteries, they produce a combined 429bhp and a huge 800Nm of torque. This results in a 0-62mph run of 4.5 seconds, while a ‘boost’ mode can increase the power to 496bhp for short periods. Audi claims the drivetrain provides a range of up to 310 miles and, when using the upcoming ultra fast charging network, the batteries can be charged from 0 to 80% capacity in approximately 30 minutes. The e-tron won’t be available until 2019, but when it does hit showrooms it’ll be part of a new range of EVs currently under development by Volkswagen Group. They include the Golf-sized Volkswagen ID, as well as similar SUV offerings from Skoda. If you can’t wait until 2019, why not consider a hybrid Q4 or Q8, which will be available from next year.